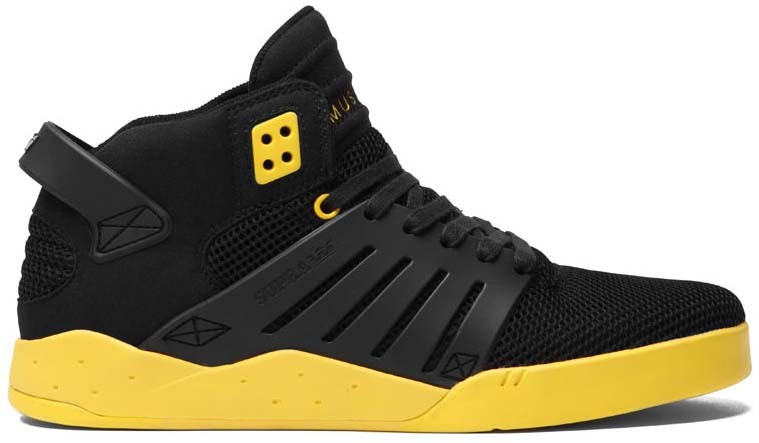 SUPRA Skytop III - "Tour"
Hitting the shelves of skate retailers this month is an all-new colorway of Chad Muska's Skytop III from SUPRA Footwear. 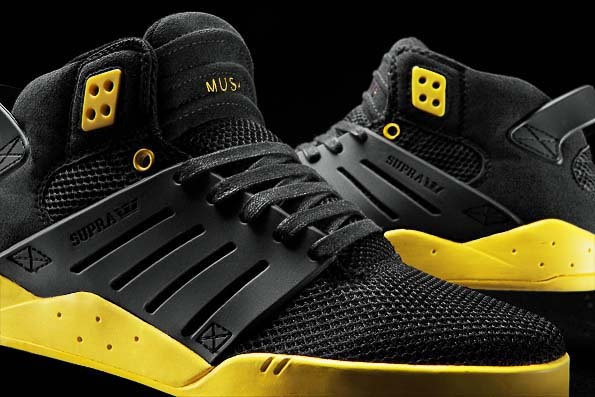 Hitting the shelves of skate retailers this month is an all-new colorway of Chad Muska's Skytop III from SUPRA Footwear. 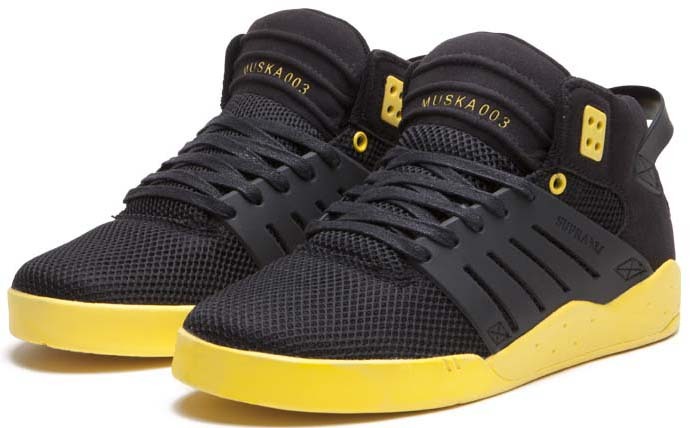 The "Tour" Skytop III is the first version of the new model to feature an upper materialized out of synthetic mesh. Additional details include a black suede tongue and collar, black TPR cage and heel and contrasting yellow accents. 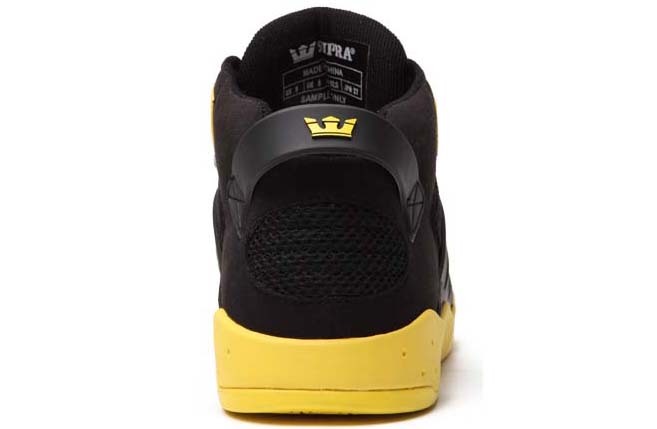 The LIVESTRONG-like shoe is constructed on a yellow EVA midsole and outsole. The "Tour" Skytop III is available now at SUPRA Footwear and skate retailers worldwide.